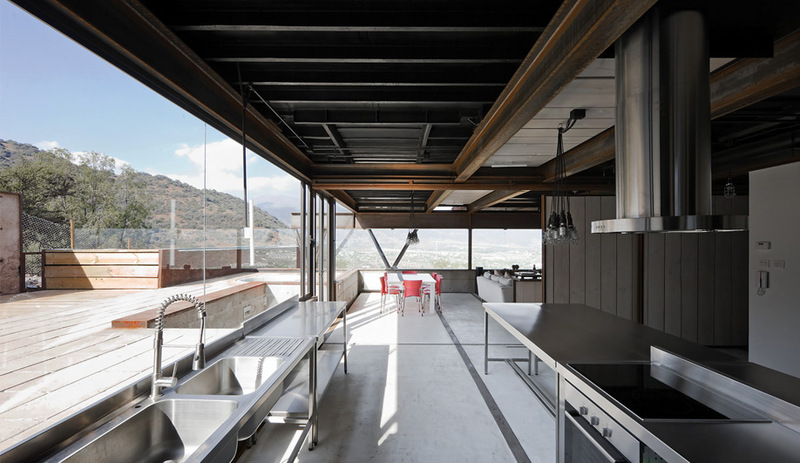 Sebastián Irarrázaval’s multi-volume house in the Andes foothills serves as a masterful example of what can be built from shipping containers. Santiago de Chile backs up dramatically to the Andes Mountains, and a growing number of affluent residents are heading for the foothills in search of fresh air and green space. To limit urban sprawl, no construction is permitted above 1,000 metres. 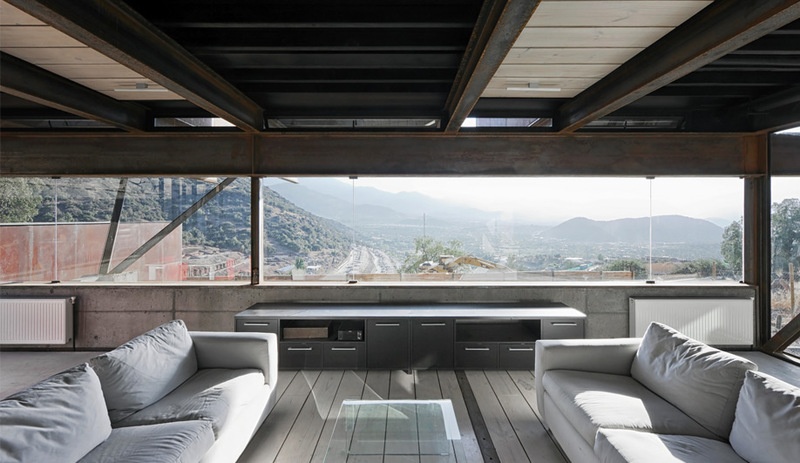 Naturally, that benchmark has become a desirable location, and local architect Sebastián Irarrázaval has joined other architects in building houses that respond to the challenging topography. 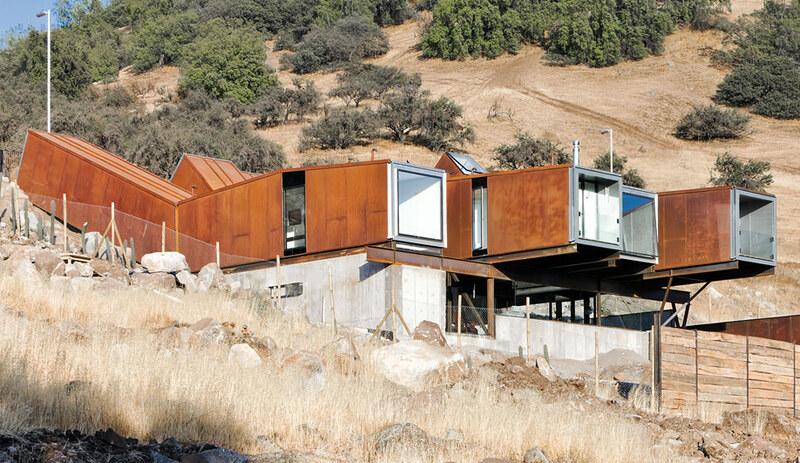 His latest, constructed out of shipping containers, has been dubbed the Caterpillar House (Casa Oruga), for the way its elongated volumes tilt up and down the steeply sloping site. 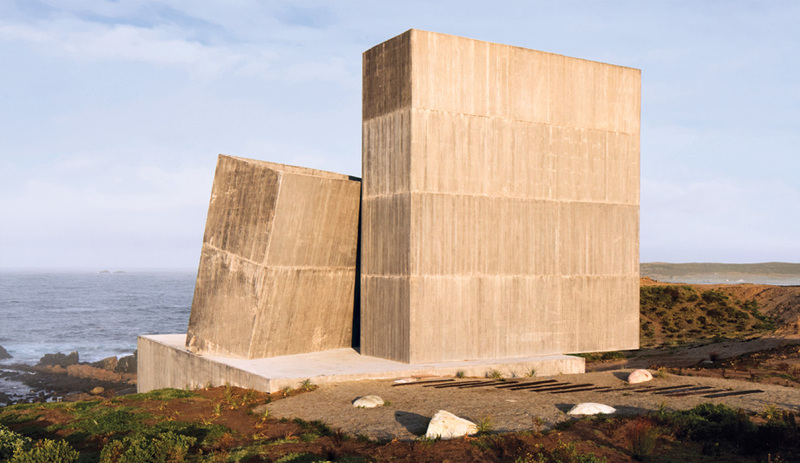 The house uses raw steel and exposed concrete in the same direct way Irarrázaval employed them for a design school he built in 2010, at Chile’s Pontifical Catholic University. “I want to do buildings that are simple and strong,” he explains. He became fascinated with the structural potential of shipping containers when he designed a pavilion for the Chilean Biennale in 2000. For the event, he stacked containers four high and cut away the fronts to frame various architectural exhibits. Since then, he has developed the concept on a smaller scale with two houses. 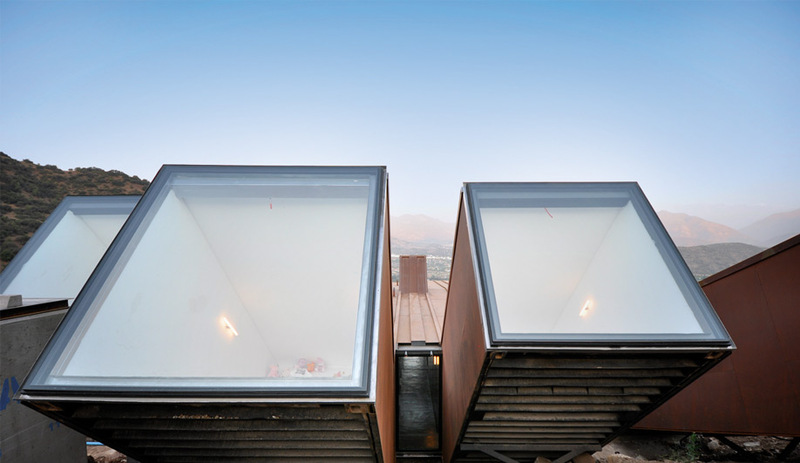 Casa Oruga, though, carries the idea much further by utilizing 12 containers in a richly varied composition where every room is open to light and air. 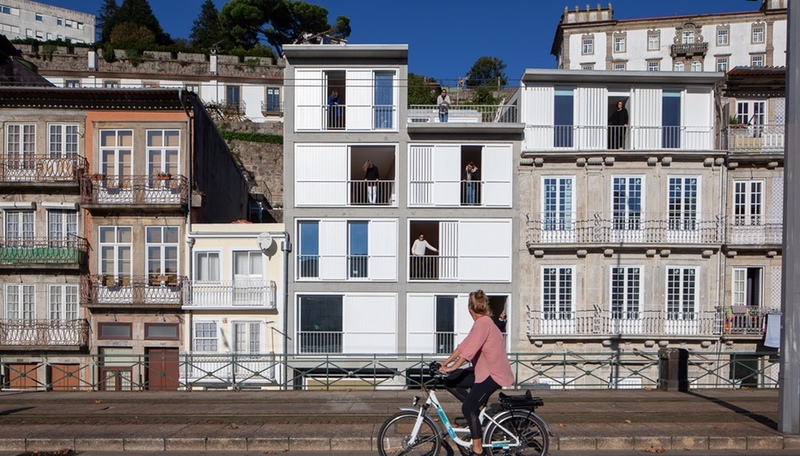 Construction of the 350-square-metre house took just eight months compared to a year or more, says Irarrázaval, pointing out one of the many benefits of prefab construction. It also cost a third less. The site was first cleared of loose rocks and clay, and concrete retaining walls were built at the base to enclose the living areas on the lowest level. 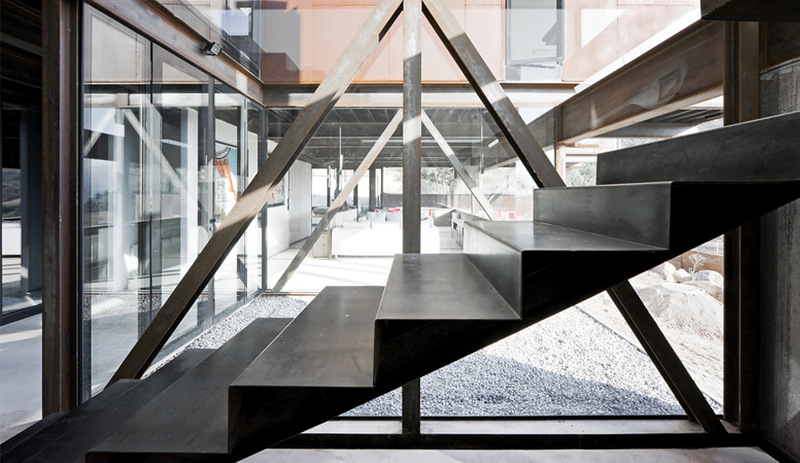 Outdoor stairs at one end lead up to a side deck, with an open container serving as a cantilevered lap pool. 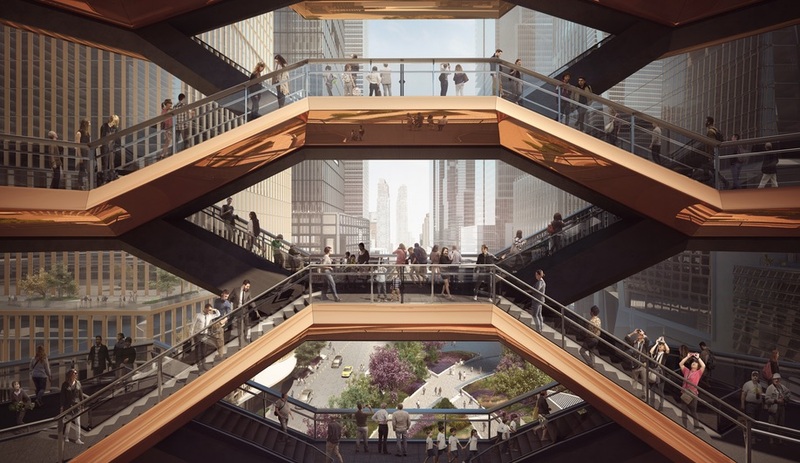 To support the upper level, a massive steel cross-beam and posts anchor the containers that line up in four side-by-side volumes, each with its own viewfinder window at either end. The containers were trucked to the site and then cut and welded before being craned into place. Polyurethane was sprayed on, and the entire structure was clad in steel plates. 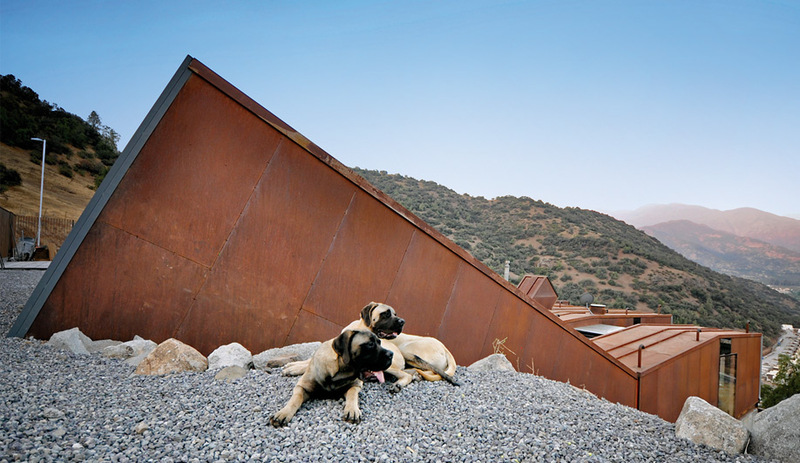 Left to rust slowly in the dry climate, the raw cladding matches the interior finishes, which are defined by exposed I‑beams, sheet metal, polished concrete and wide-plank wooden floors. To warm the mood, the interior spaces are pierced by doors, windows and ceiling openings that draw in the cool mountain breezes and eliminate the need for air conditioning. Both side facades, however, are left solid, to block out any future developments on either side. The longest of the volumes is set up the hillside by a few metres, reaching the main road. 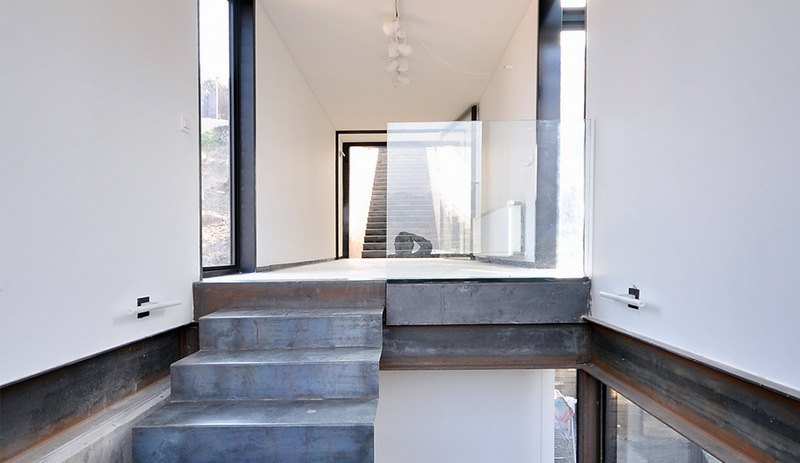 It serves as a discrete entrance that has visitors descending a fully enclosed steel staircase, which reaches the children’s bedrooms and the bathrooms on the upper level before it heads farther down to the kitchen, dining and living spaces. The aesthetic throughout recalls an industrial loft, with support beams and copper pipes left out in the open. In the kitchen, a cluster of caged lights, more commonly used on construction sites, have been yoked together and hung from the ceiling, in homage to Droog’s 85 Lamps chandelier. 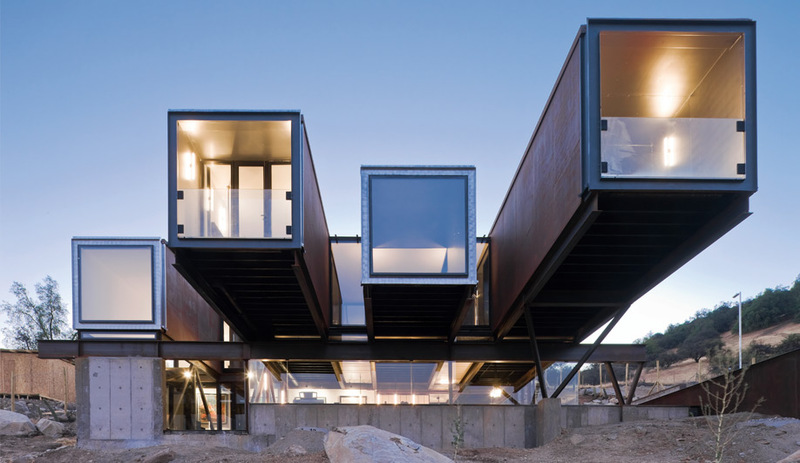 Irarrázaval plans to use containers again, for another house and for a ski resort outside Santiago. It’s an economical and sustainable way to build, especially in remote locations, but he doesn’t feel limited to steel. 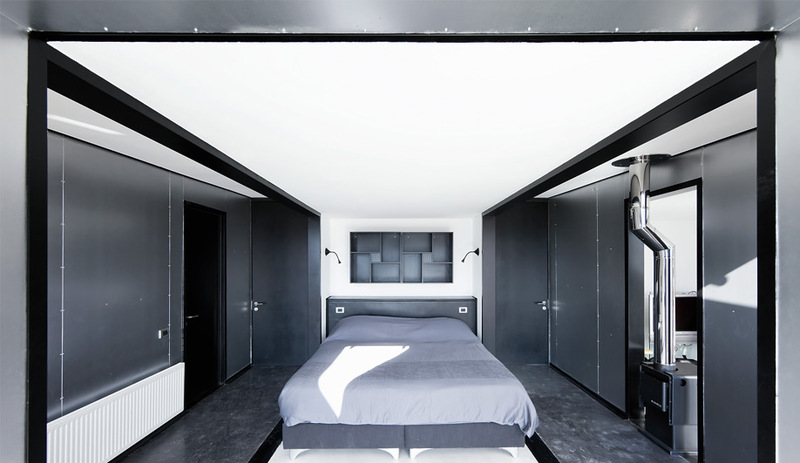 In Toronto, he is designing an extension to the popular Drake Hotel. 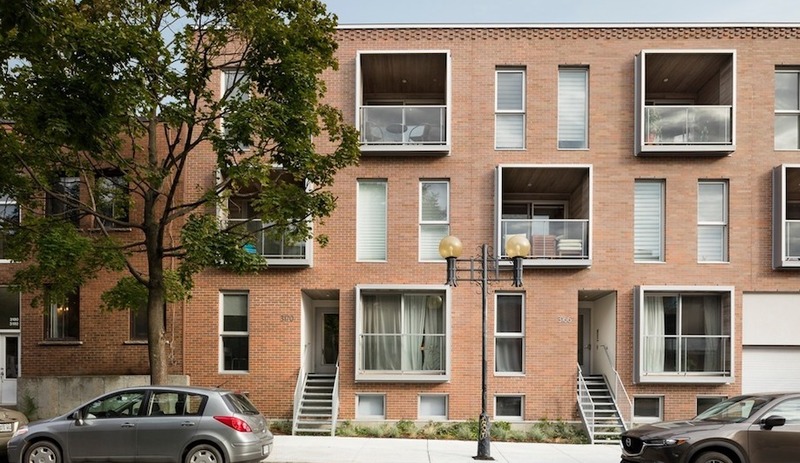 It seems like a good match, since Chile’s sober modernism should find a warm welcome in Canada.